NEED A PROFESSIONAL, RELIABLE TAXI SERVICE IN BATH? Our 5 Star airport transfer service starts the moment you leave your front door. At Bath Taxi Transfers, we offer a highly professional, chauffeuring service to and from all UK airports, including Bristol, Heathrow and Gatwick. Using our expert knowledge and up-to-the-minute flight information, we’ll ensure that you arrive in good time for your flight and, of course, if you book our meet and greet service your personal chauffeur will be there waiting when you return. A truly door-to-door service, we’ll take you straight to the terminal entrance – so no struggling on and off terminal transfer buses with your suitcases. And no expensive airport parking fees. All you have to do is check in and enjoy the flight. All of our journeys come with the fastest 4G Wifi Internet, bottled water and a newspaper, as standard. If you’re travelling as part of a larger group, we also have a Mercedes Viano which can seat up to 7 people. Click here for our latest and best fares. If you’re off on a family holiday – and, let’s face it, you’ve worked hard to earn it – well, your holiday will begin the moment we arrive at your door. 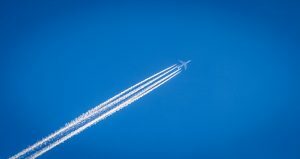 If, on the other hand, you’re off on a business trip, then you’ll be able to spend that getting to the airport time focusing and preparing for the business in hand. We also offer a meet and greet service, ideal for arranging your return journey in advance or for businesses arranging travel for clients who might be visiting. 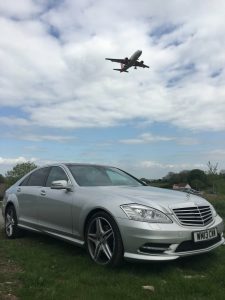 Whatever your reason for travelling, from the moment you make your booking with Bath Taxi Transfers, you’ll be able to relax in the knowledge that every detail of your airport transfer has been taken care of – just look forward to your ride in a luxurious, spotlessly clean car from our prestige fleet. Our Most Popular Airport Transfer Requests. Call 01225 220789 or Book Online.